Change management is at the heart of programs like ITIL, lean, ISO, or six sigma. Change and improvement needs to occur on a regular basis, but it does not happen by accident. It takes commitment from top management. How does top management show their commitment? Two ways – budget and a show! That’s right you need to fuel innovation for change and improvement and budgets are what top management understand. Company leaders demonstrate their commitment to change and improvement by making budget available for it to happen. But spending money on change and improvement that nobody knows about does not deliver much actual change does it? You need to get the word out and that takes some kind of show. Do You Schedule Change and Improvement? First, let’s look at budgets. Nothing happens without a budget and only top management makes the budget. And by budget I am talking about more than just money, it also takes time to spend the budget. Time is money right? Not exactly. In business, time is as precious a resource as money. Top management can allocate a budget for change but, with backorders, development delays, rush orders, and other customer demands, can you really afford to trade valuable production time for improvement? You may have a budget for such things as training, communication, audits, corrective and preventive actions, and management review. But do you have the time to spend the budget? Production time is seen as valuable. And what do you do with a valuable resource like production time? You probably use a production schedule to make sure that that time is accounted for and allocated. Do you have a schedule for improvement? You may schedule training, audits and management review but do you also schedule corrective and preventive action? It’s like preventive maintenance, change and improvement must be scheduled. The more change you schedule, the more improvement you get. Do You Communicate Change and Improvement? Second, do you have a communications calendar? And how do you coordinate all this change and improvement? Changes and improvements are news to your organization. You have to get the word out and communicate the news so others can profit from the changes and improvements. I like to think of it as a news show. All of this activity must be coordinated. You need a news staff to write, produce, and distribute your news program. Your news show should have a regular time slot, format, and an editor or anchor for your program. Perhaps featured stories regarding training events, Kaizen of the month, and progress on major changes or improvement objectives. Be creative. Produce videos, a newsletter, a change wall, or skits for the changes. How much do you budget for your news program? Major software changes get money for new software and software customization. Typically less time and money is spent on communicating the changes. This may be due to the lack of any formal communications program. Start a news show. Do You Need Faster Change Management? Let’s look at each one and see how they are used to produce change. First there is Dissatisfaction. Did you ever see something and think “that’s not right, somebody has to change that?” Sometimes we call this a problem or pain. The greater the pain then the greater the desire to change. During the change management process, you must ask questions to uncover some dissatisfaction that once realized will move the organization to change. Without dissatisfaction we may experience passive-resistance to our change plans. Frequently, organization-wide initiatives have dissatisfaction at the leadership level and that’s it. The leaders assume that because they are dissatisfied, others should be too. Yet the true reasons were not passed on and the rest of the organization fails to implement the desired change. Sound familiar? We are talking about the future as it relates to the user. Think of it as “What’s in it for them?” People want to know how they will be better off if they implement the change. Let’s take profit, for example. The leaders may believe it’s a great idea to work longer hours to increase profits. Sure, the leaders are dissatisfied with profits. But the workers are happy working the hours they have now, so why should they change? You need to paint a vision of how the increased profits will help the workers, too. The vision must provide the organization with a goal that is worth striving for. Now we have dissatisfaction and a vision. Next, we need First Steps. First steps in change management are what get the ball rolling. The steps must be specific and easily executed. 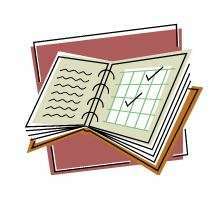 One way is to create an action plan or timeline of events with responsibilities for specific tasks spelled out clearly. Finally, are all these factors greater than the resistance to change? If not, determine which element to adjust to improve your results. Understanding and identifying the three elements of change management will enable you to achieve success and create value for the whole organization a lot faster. And, you will see the changes last a lot longer. The next time you are making your budget for the year, think of a time budget to go with your financial budget. Make a change and improvement schedule to go with your production schedule. Then identify a news staff to make the communications that get the word out. Delivering change and improvement is like producing a big show. You have to budget for the production of the show (the change and improvement development activities) and you then have to have the show, on a regular basis, just like the news. Keep in mind that a commitment to change and improvement will give you a competitive advantage. Likewise, if you’re not committed, it can cause harm to business. For example, take Precoat Metals, a leading provider of metal coating services. Precoat Metals has always been focused on serving customer needs, but the demands of a rapidly changing market place were starting to put a strain on their manufacturing capabilities. The problem was that, even though Precoat had a continuously running production line capable of changing coating types and colors on the fly, they were not able to conduct change-overs as fast as they wanted. How quickly are you reaching your goals? Sometimes it can take an objective and expert third party to help you challenge your assumptions and assist you in reevaluating your mission and strategy, just like a good college coach can help the high school athlete take his or her skills to the next level. It’s important to note that innovation and change really are like two sides of a coin. You can’t innovate without changing and you cannot change without innovation. One definitely feeds the other. This is where the three companies you read about were successful in recognizing improvement opportunities and implementing improvement program. Your management commitment to change and improvement will be demonstrated by the time and money you budget as well the quality of the change and improvement show you produce.